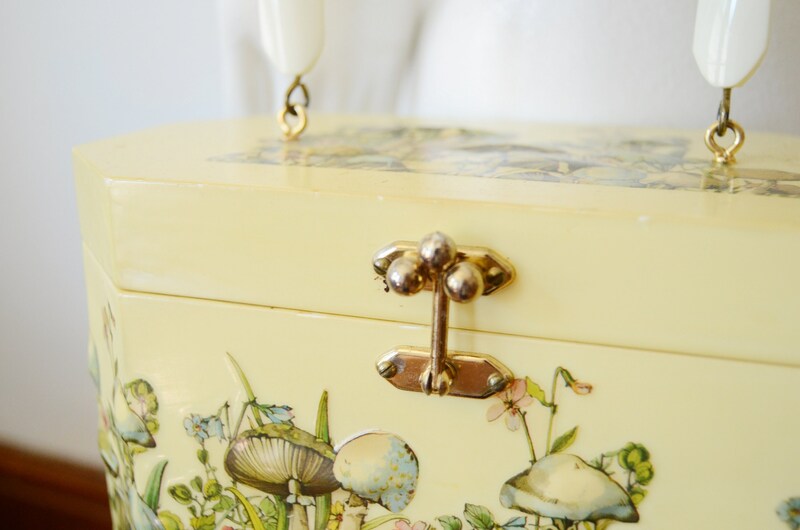 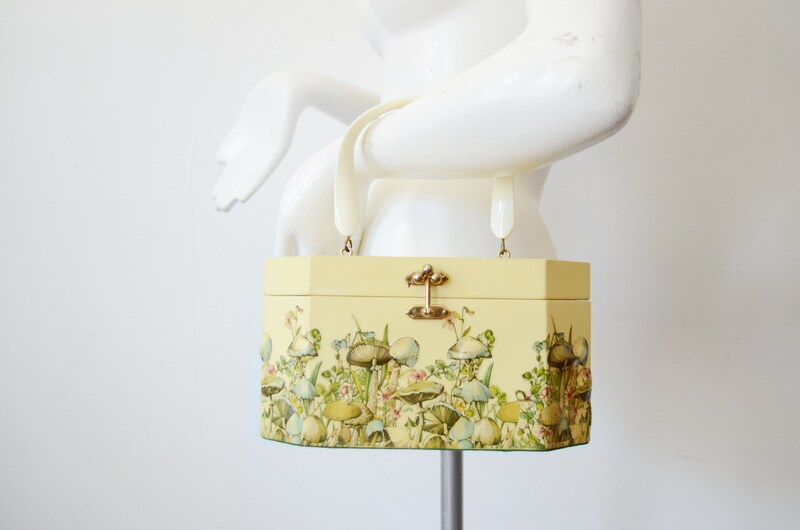 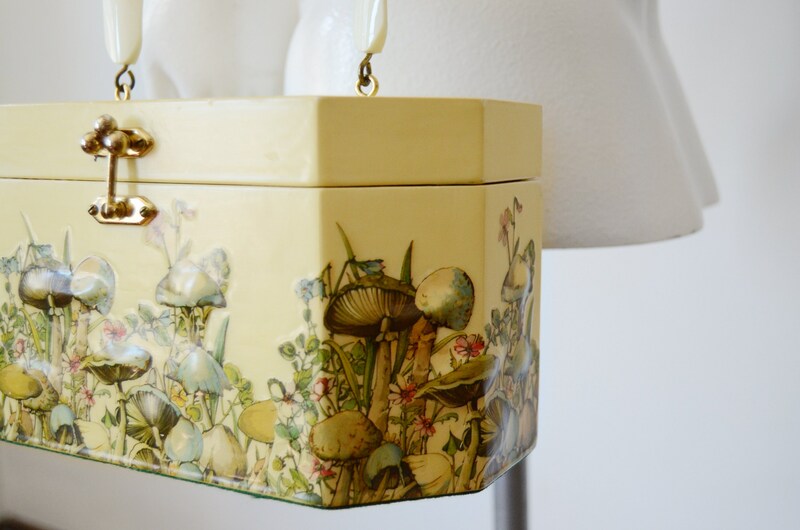 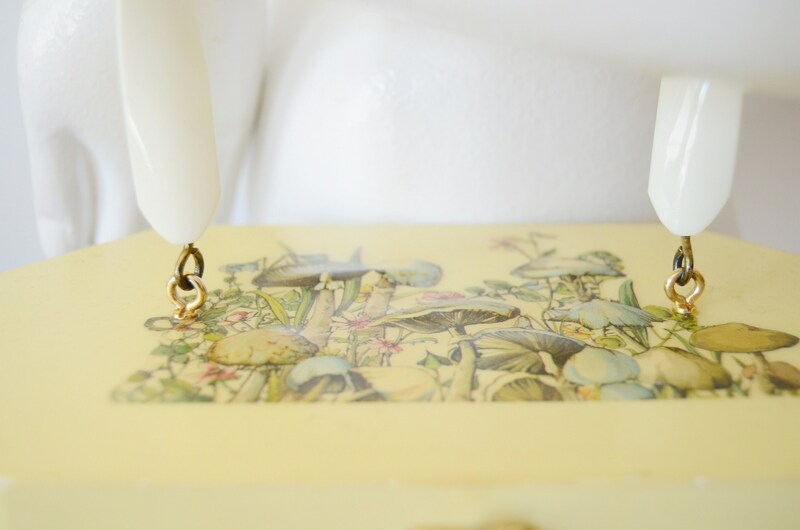 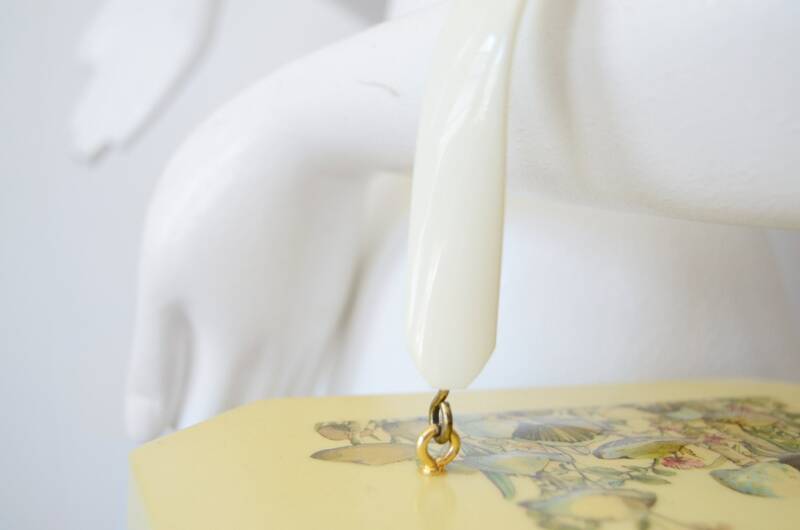 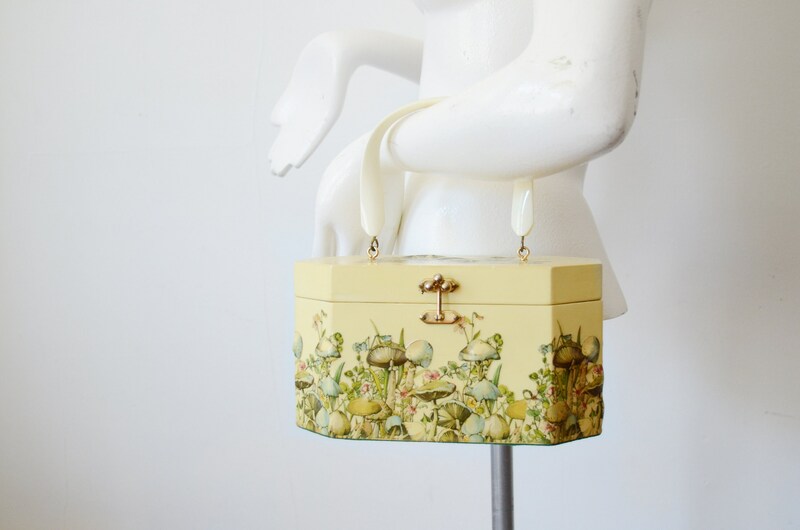 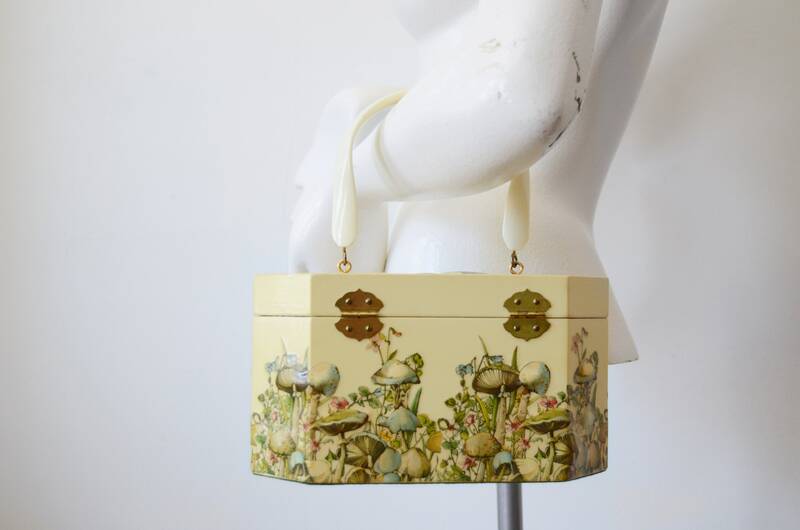 Pale yellow box purse with puffy 3D mushrooms all around. 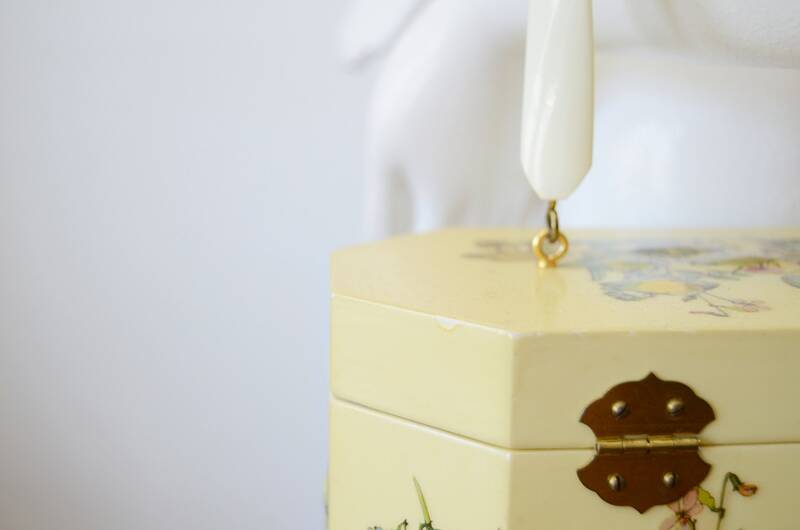 There are a few dings to the edges, but no glaring flaws. 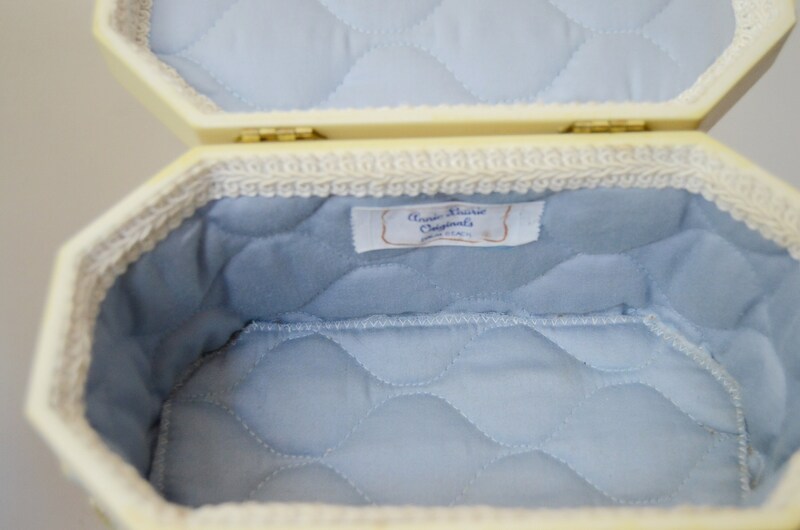 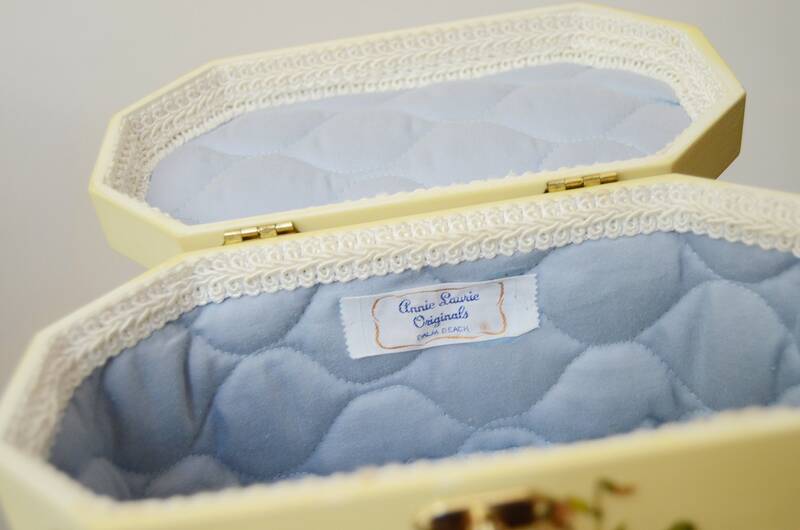 Felt bottom, lucite plastic handle, and quilted interior.